Camus, Albert. The Plague. New York: Vintage Books, 1975. There will also be selections to read that I will provide for you. Course Description: "General Ethics" investigates normative theories of human action. It looks critically at what philosophers say that human beings should do. 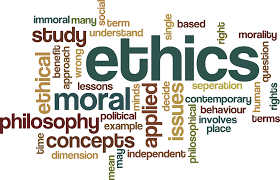 Unlike "Business Ethics" and "Biomedical Ethics," which seek to provide a moral guidance in respect of certain discrete domains of human action (viz., "business" and "medicine" respectively), “General Ethics” seeks to provide moral guidance applicable to all domains of human action. The course methods include lectures on selected ethical theories, class discussions, response essays, and one formal essay. Philosophy, meaning “love of wisdom,” endeavors to address the deepest and most enduring human questions and to do so on the basis of reason alone. Philosophical inquiry trains the mind to think clearly and moves students to love learning and the “examined life.” Philosophical inquiry generally interrogates the assumptions and presuppositions that other academic disciplines take as axiomatic or “given.” Philosophical inquiry at Benedictine engages the Catholic philosophical tradition in a substantial way but in a way that draws upon wider historical, general, and global philosophical trends. While philosophical inquiry helps to prepare students for professional careers and for graduate study, it tends to be centered not on vocational ends, but rather on the enrichment of the student’s intellect through both the engagement with core texts and the cultivation of critical thinking and analysis. 1. Produce a plausibly cogent line of philosophical argument (logically speaking) with a significant (non-trivial) conclusion. 2. Show comprehension and critical engagement of key ideas and arguments within classic philosophical texts. 3. Demonstrate knowledge of key doctrines of distinguished philosophers. Classroom Etiquette: As we work together to create a classroom environment that is both conducive to learning and welcoming of all members of the class, students are expected to adhere to appropriate standards of behavior for an academic environment. Norms of inclusiveness: 1. Please don't dominate the discussion; 2. Raise one question per question (follow-ups are OK, but questions on different topics go to the back of the queue); 3. Try not to let your question (or your answer) run on forever; 4. Acknowledge points made by previous questioners; 5. It's OK to ask a question that you think may be unsophisticated or uninformed; 6. Don't use unnecessarily offensive examples…7. Don’t try to impress others… (http://consc.net/norms.html). Attendance and Participation: Because I believe everyone has something to contribute to our class, I believe that we are all responsible for attending college classes, which are forums for the exchange of varying beliefs, values, and assumptions. A student’s education is not an isolated and anti-social event. It is a reciprocation of mutual interests and goals. Please take responsibility for your education and learning. It is a profound opportunity and privilege that many people do not have, and it should never be squandered. Attend our class! Although I believe that not everything valuable in a class can be assessed through tests, quizzes and essays, or should be; nevertheless, I am not stressing attendance over learning and education. On the contrary, I am emphasizing the values of commitment and the responsibility to that obligation as part of a classroom community of teachers and learners. Our discussions are dependent upon the contributions of each individual. In any class, a participating audience is indispensable for its success. In this way, we are all participants in one another’s education and opportunity for learning. Thus, partake fully in our philosophical discussions. Take notes during discussions and lectures too. They will be indispensable for your final exam and for the essays you write. Note: your ability to articulate your opinions in each class will also determine the difference between borderline grades. Participation in class is an essential requirement for earning an “A” or “B.” Please understand that if you come to class without your materials and/or reveal that you did not read our assignment, you will be recorded absent. If you are working on an assignment for another class or surfing the internet on your iPhone or laptop, you will be recorded absent. It is imperative that you use your absences legitimately and wisely. Please note that more than two absences will affect your final grade. Each subsequent absence will lower your final grade one full grade. If you are seriously ill and a contagion (e.g. you have the flu) or have an emergency, however, please notify me by e-mail (gbrown@ben.edu) that you will be absent. Note: if you are absent the day an essay is due or class is canceled due to weather, send your essay to me via e-mail by 9:30 pm. Finally, note that three late arrivals (more than five minutes) will also equal one absence. Technology Requirement: While a laptop can be a useful aide for your education, it can also be a hindrance to discussion. If you bring a laptop or smart phone to class, please keep them closed unless looking up something specifically related to our discussion. I prefer that you bring paper copies of the essays we are discussing to class. Academic Honesty: The search for truth and the dissemination of knowledge are the central missions of a university. Benedictine University pursues these missions in an environment guided by the Roman Catholic tradition and Benedictine heritage. Integrity and honesty are, therefore, expected of all members of the University community, including students, faculty members, administration, and staff. Actions such as cheating, plagiarism, collusion, fabrication, forgery, falsification, destruction, multiple submission, solicitation, and misrepresentation are violations of these expectations and constitute unacceptable behavior in the University community. The penalties for such actions can range from a private verbal warning to expulsion from the University. Violations will be reported to the Provost, and a permanent record of this infraction will be noted. The University’s Academic Honesty Policy is available at http:/www.ben.edu/AHP, and all students are expected to read and understand it. Plagiarism is defined as the act of stealing ideas and/or the expressions from another person or source and representing them as your own work. This includes quotations, paraphrasing, and the summarizing of another person’s ideas without proper documentation. Furthermore, unless you have the explicit permission of the instructor, reusing your own work from other courses is considered self-plagiarism. Plagiarism is a form of cheating and academic misconduct that can jeopardize your course grade and college career. Remember to clearly distinguish between your own ideas and those you have read or heard elsewhere. Be sure to include a works cited page with any paper in which you consult outside sources. All typed assignments submitted for evaluation will be graded with the assumption that the student has read and understands the plagiarism statements and guidelines. Committing any form of plagiarism will result in a grade of “0” on the assignment in question and is grounds for failure of the course or further action by the University. If there are any questions or concerns regarding plagiarism and the documentation of sources, it is your responsibility to consult the instructor. Conferences: You are strongly encouraged to meet with me during my office hours and to discuss your compositions in progress, to receive help with the course material, to address questions and discussions raised in class, or to talk about any other concerns. Americans with Disabilities Act (ADA): If you have a documented learning, psychological or physical disability, you may be eligible for reasonable academic accommodations or services. To request accommodations or services, please contact Michelle Schaefer in the Academic and Career Enrichment Center, Goodwin Hall 214 at 630-829-6041. All students are expected to fulfill essential course requirements. The University will not waive any essential skill or requirement of a course or degree program. Academic Accommodations for Religious Obligations (AAFRO): A student whose religious obligation conflicts with a course requirement may request an academic accommodation from the instructor. Students must make such requests in writing by the end of the first week of the class. The student is responsible for the information in this syllabus and should ask for clarification for anything in this syllabus of which he or she is unsure. Students are expected to be partners in their educational experience and to periodically monitor their progress in the course. Students may check grade status through D2L course site Gradebook. Student grades will be posted in D2L in a reasonable amount of time, usually within one week of turning them in. The Add/Drop Deadline is January 22nd; the Withdrawal Deadline is April 15th. The “A” Compositions & Class Discussions are simply outstanding. They are eloquent, sophisticated, insightful, and emphatic in providing a convincing, arresting argument or reflection that makes your point. Written and oral discussions juxtapose unlike ideas. Analyses are well supported by quotations and paraphrases from the text and from other outside sources or relevant authors and their claims. The writing and discussions are significant, interesting, supported, informative, penetrating, lucid, original, and surprising. Compositions contain only minor mechanical errors, if any, and no significant lapses in diction or organization. The “B” Compositions & Class Discussions do more than fulfill the assignment, though they are not exceptional. Written and oral discussions of material go beyond a routine response and show evidence of careful thought and planning. Like the “A” papers, these reflections are also focused, effective, consistently written, and tightly organized. Moreover, the writing contains no major distracting errors in usage or mechanics and is well developed with good supporting material and transitions. The writing and discussions are also clear, free of jargon, and appealing. The “C” Compositions & Class Discussions are acceptable, but they are average responses that complete the assignment in a “routine” way. In other words, they show evidence of engagement with the topic but make a minimum response to it. The writing contains few distracting errors and few glaring platitude or egregious mistakes in diction. The reader/listener can follow and understand without difficulty, but the writing and discussions are not vigorous, nor the ideas original and inspiring. [Procrastination is evident]. The “D” Compositions relate to the assignment but show no evidence of any engagement with the topic. The writing is marred by enough errors in syntax and mechanics to seriously distract the reader and by vague, ambiguous diction and syntax that make it difficult to understand the content or the direction of the argument. This reflection may also be a weak because it does not complete the required length or fulfill the requirements of the assignment. [Procrastination is evident]. The “F” Compositions show little relation to or engagement with the topic. They show very little thought and are so poorly constructed and carelessly written that the reader/listener cannot follow the sequence of ideas. Moreover, the paper is marred by so many errors in mechanics and usage that the message is extremely difficult to decipher. It is evident that these reflections do not complete the required length or fulfill the requirements of the assigned topic. A plagiarized paper, in part or whole, receives an “F” and “0” points. (See Academic Honesty). 5. Mechanics (papers only): usage, syntax, punctuation, and spelling. -The purpose of these short response essays is for you to come prepared and to contribute to our class discussions. -They are a minimum of 1 ½ pages in length (2 full pages are preferable), 12-pt., typed, and double-spaced. -Each response should have at least one thoughtful question you formulated after reading the assignment and your response to it. -Provide quotations and paraphrasing from the text. -Include a works cited page. -Use 1st person point of view. -Three-five full pages in length, 12-pt., typed, and double-spaced. -The essay should show an insightful analysis to at least two salient issues raised in our class. -Provide quotations and paraphrasing from the readings you chose and substantiate them through your perceptive commentary. -Use 3rd person point of view. -Use proper documentation of sources throughout your essay. -Include at least three outside sources and a works cited page. -Carefully revise and proofread the essay before submitting it for an evaluation. -Read “Grading Guidelines/Rubric” in this syllabus. As with any assignment, avoid plagiarism! -Show the ability to analyze, synthesize, and argue effectively through use of deductive or inductive reasoning. -Show the ability to distinguish between facts and opinions and between relevant and irrelevant claims of the authors we read; detect bias and fallacious reasoning often found in argumentation; determine empirically the factual accuracy of your own statements and beliefs. -Develop and reveal a vocabulary learned in philosophy of ethics based upon class discussions and lectures. Feb. 26: No Class, for my daughter's wedding is far, far away from frigid Illinois!